The title is a bit quirky perhaps (at least Kelly says it is), but it's really a simple idea. We were each supposed to choose ONE - only one! - stamp. 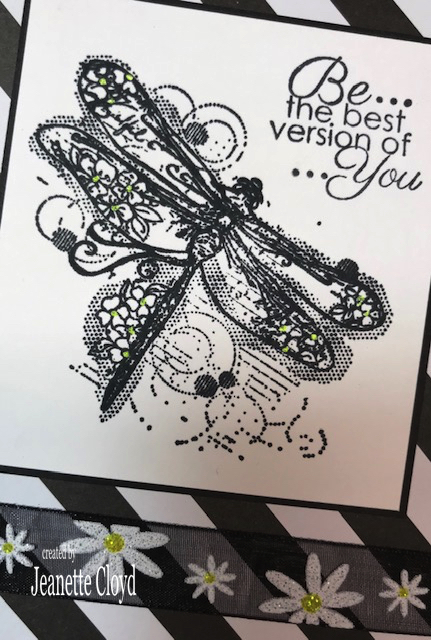 It couldn't be a stamp set but it could be one stamp from a stamp set. 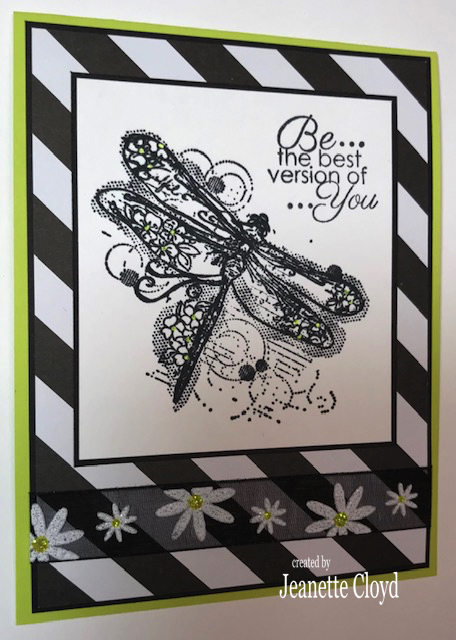 Then (and this is where it becomes less simple) we are going to create a card with that ONE stamp each month, posting our cards on our blogs on the 3rd of the month. Finally after a week or so, I'd narrowed it down to TWO stamps... and I couldn't decide. What's a girl to do? I finally stamped out the TWO stamps and laid them on my stamping desk where I looked at them from time to time for two or three days. I still couldn't decide. That's when I decided to make a card with each of them, and then decide. So that's what I did. 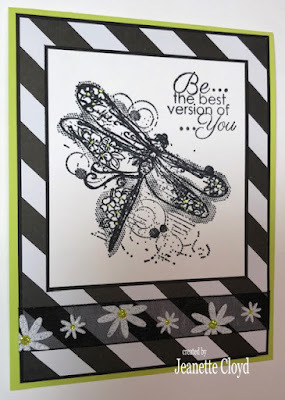 The card featuring the stamp that didn't get chosen was actually on my blog yesterday. If you missed seeing it, you can do so HERE. The ONE stamp I chose is from the Unity Be the Best stamp set. It looks like I didn't color the image at all... and that's almost true. I did use an Amazapen Gel Pen (the same color as the center of the flowers in the ribbon) to color the centers of the subtle flowers on the image. I did use a sentiment this month, but won't necessarily do that every month. 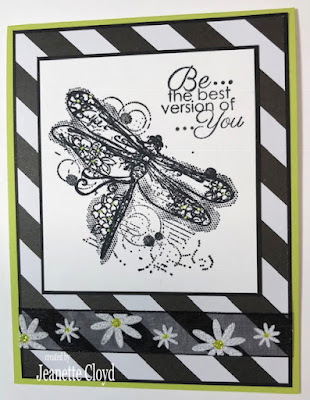 Now, let's head over to Kelly's blog and Barb's blog to see what ONE stamp they chose and their first card for the One Plus Twelve Challenge. What a fun challenge! I really like this idea. 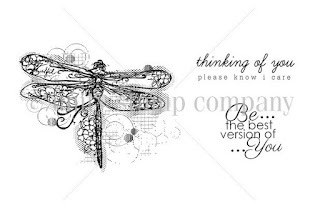 And I love your image. The black and white with the little pop of color is so elegant! well it's going to be fun to follow you guys on this challenge. 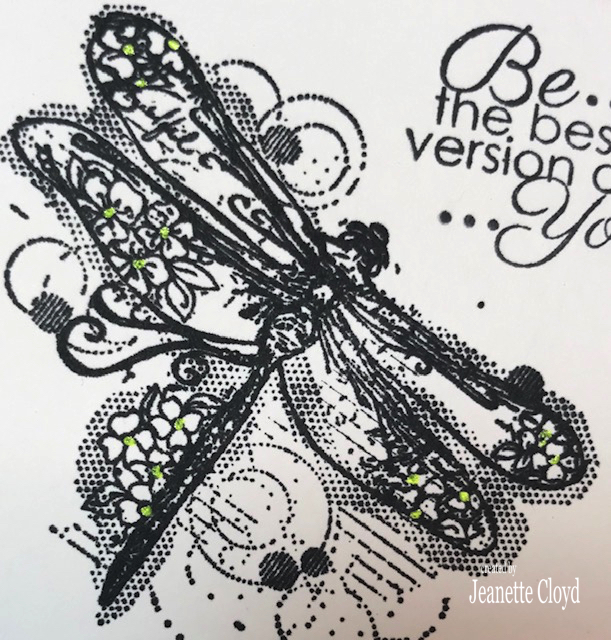 Love this card Jeanette. This is a beautiful image, and I look forward to seeing all of the cards you create with it! Great challenge!